In a very exciting deal, Microgaming have teamed up with one of the best live dealer software providers in the business, Evolution Gaming. This partnership will see Evolution Gaming’s extensive live dealer catalogue, including some of the best live dealer blackjack titles, being rolled out at our recommended Microgaming casinos, such as Royal Vegas. The CEO of Evolution Gaming, Jens von Bahr, stated that while the two software providers were once competitors the partnership makes sense as they share the same goal. “This is likely to be one of the most significant strategic deals in the history of Live Casino gaming,” he said. “In the past, Microgaming and Evolution have been competitors when offering Live Casino services to licensees. The CEO of Microgaming, Roger Raatgever, also commented on the pairing recognising Evolution Gaming’s position in the Live Dealer casino industry. “Through the deal with Evolution, we can offer our operators a regulated, European-focused Live Casino experience. The integration is underway and will no doubt be rolled out at our recommended Microgaming casinos soon featuring Evolution Gaming’s standard and VIP live games, which are streamed from their Latvia studio. 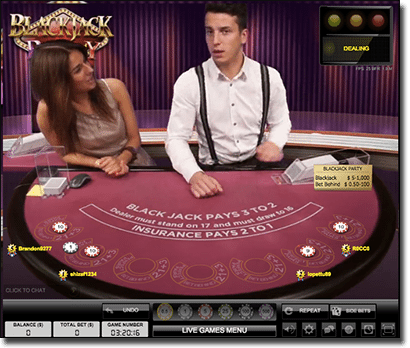 Evolution Gaming offer two standard live dealer blackjack titles and five VIP blackjack titles. 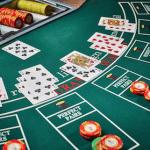 The standard blackjack titles includes a live dealer blackjack game, Live Dealer Blackjack, which features a table of seven seats, though it also has the ability for an unlimited amount of players to wager via the ‘Bet Behind’ feature. There is just one dealer and the ability to opt for Insurance, Double Down, Split bets, as well as the side bets Perfect Pairs, 21+3, and Pre-Decision. The other standard blackjack title is a fun variant, known as Blackjack Party, which offers everything the aforementioned title offers but sees two dealers streamed to your screen, as well as music added for that party ambience. All the VIP titles offer rich graphics and smooth streaming, along with the side bets Perfect Pairs, 21+3 and Pre-Decision. 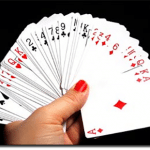 Where can I play Evolution Gaming live dealer blackjack?